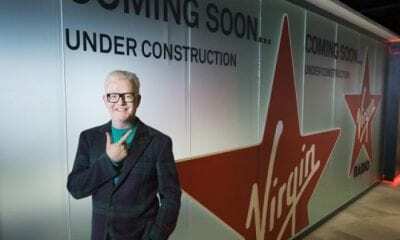 The Chris Evans Breakfast Show on Virgin Radio will launch on Monday 21 January and be broadcast without any commercial breaks following a sponsorship deal with Sky, it was announced by Evans yesterday. The new show will feature the familiar voices listeners know and love, as Chris is joined by the team from his BBC Radio 2 breakfast show, including Vassos Alexander, bringing his passion for all things sport, and travel guru, Rachel Horne. Additionally, Virgin Radio will officially launch on Sky+ and Sky Q on 7 January 2019. The new era of Chris Evans starts on Virgin Radio UK on Monday 21 January 2019.